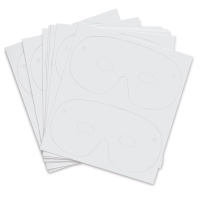 Affordable Creativity Street Die Cut Paper Masks ship flat in a convenient pack of 50 — enough for the whole class or a party! 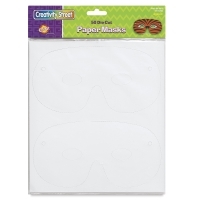 These masks have crisp, die cut edges and are ready to decorate with paint, markers, glitter, gems, feathers, and more. 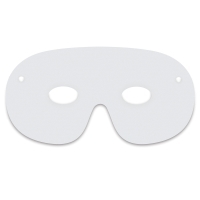 Once they are decorated and allowed to dry, simply add elastic or string (not included) and they are ready to wear.